What do you get when the writers of action movies such as Transformers and Star Trek sit down to make a serious drama? You get a film that’s slightly cheesy and somewhat predictable, but that’s not to say I didn’t enjoy the ride. It’s fast paced, funny, and even has some genuinely heart-warming moments. The film starts in New York with Sam (Chris Pine) deep in debt, coming home to his girlfriend Hannah (Olivia Wilde) telling him that his father has died to which Sam nonchalantly responds, “What’s for dinner?” After trying to stall at the airport for as much as possible, Sam reluctantly heads to L.A. with Hannah only to miss his father’s funeral. The couple comes home to Sam’s grieving mother played by Michelle Pfeiffer delivering a very gloomy performance that plays against type by highlighting her age and wrinkles, who scolds Sam before welcoming him home. The always-great Phillip Baker Hall shows up in a cameo as the executor of the will giving Sam $150,000 that his father left, and a note instructing Sam to give the money to a secret family his father had. Sam takes the money and begins to stalk his new sister Frankie (Elizabeth Banks) and her son Josh before deciding meet Frankie at an alcoholics anonymous meeting. The film then converges into somewhat squeamish “will they, wont they?” tension between brother and sister, made watchable due to the charming performances by Pine and Banks. While the whole premise of the movie relies heavily on finding the right chemistry between the brother and sister, the little kid in the film deserves some recognition. When most movies have a kid that is just plain annoying, Michael D’Addario proves he can be the trouble-maker/loner you might recognize from way back in elementary school. As charming as the film is, it could probably have been about 10 minutes shorter. The interactions between Sam and Frankie seem sweet at first but after a while become somewhat awkward, making you want to yell at Sam for not just telling Frankie he’s her brother. The stylistic camera movements could have been toned down a bit as the movie transitioned to a more serious note, as well. Maybe it’s because I went in with somewhat low expectations, but it’s nice to see a quiet movie come out in the summer time amidst all the explosions, aliens, and superheroes, ironically from the scribes who have made some of the biggest summer blockbusters in the past few years. The film is light harmless fun, and the sprinkle of cameos is fun looking for. 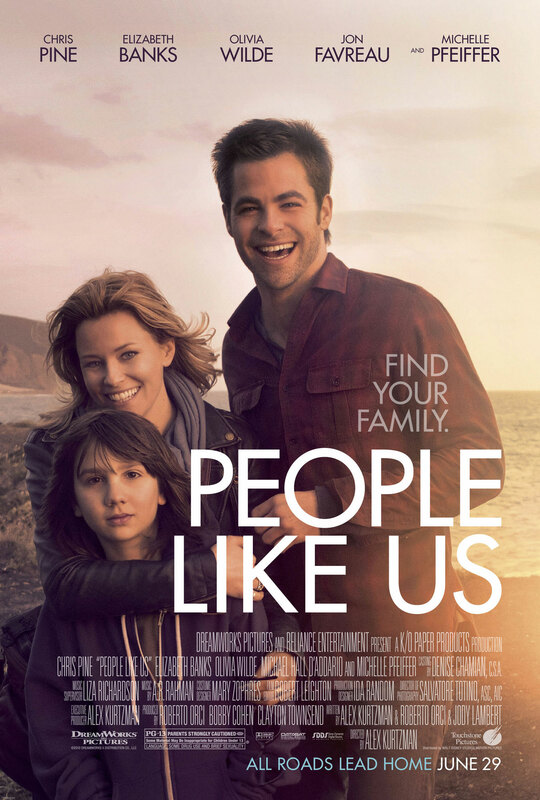 People like Us opens everywhere this weekend. You were right about Pine and Banks charm. While personally not liking Chris Pine in the slightest I felt compelled to watch him complete is sappy journey. A very insightful review!